This summary provides influenza immunisation information for public health professionals. This summary of Public Health England’s guidance covers advice for travellers to avoid sexual transmission of the Zika virus. 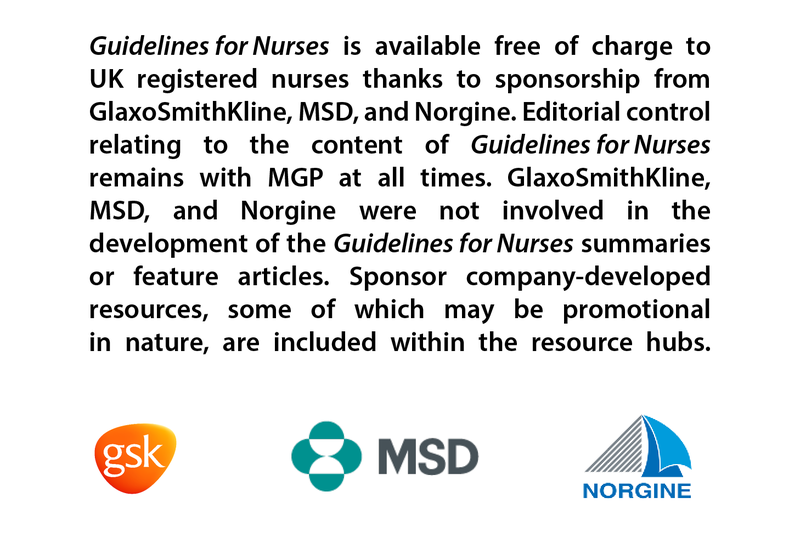 This Guidelines for Nurses summary provides a care framework, and sign posts nurses to education and professional development that can help improve patient outcomes. The framework could be used as a template to support advanced practice in other specific disease areas. A clear summary of Public Health England’s guideline on infection diagnosis and microbiological investigation of venous leg ulcers. A clear guideline summary on procedures for hand hygiene to aid in the prevention and management of healthcare-associated infections. This summarises Public Health England's shingles (herpes zoster) immunisation policy.